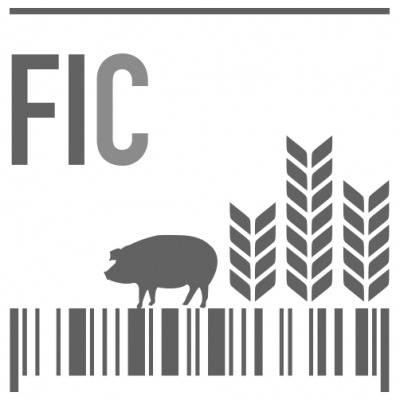 The Government Accountability Project's Food Integrity Campaign (FIC) has been working in full force since last year in preparation for the anti-whistleblower Ag Gag bills expected (unfortunately) to be introduced in the new legislative session. Bills in Wyoming, Nebraska, New Hampshire, Arkansas and Indiana have all been filed or introduced so far in 2013. For an overview of the 2012 Ag Gag saga, refer to our info page. We collaborate with many coalition groups who oppose the legislation, which typically criminalize the individuals who expose wrongdoing rather than the perpetrators of it! Wyoming's bill -- which was introduced mere weeks after undercover video footage revealed inhumane handling of pigs at a Tyson Foods supplier in the state -- threatens agriculture whistleblowers with jail time and a fine if they use a recording device on the facility's premises. 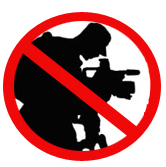 Many similar bills introduced last year that explicitly banned the act of video recording at agricultural operations without consent failed to pass, due to free speech concerns. Others like the one in Iowa (which did pass last year, to our dismay) kept out language involving video, yet included problematic provisions that still enable a culture of silence behind factory farm doors. FIC Director Amanda Hitt authored an op-ed in Iowa's Cedar Rapids Gazette explaining why its Ag Gag bill is bad for transparency and public health. She also wrote a piece that appeared in Utah's Salt Lake Tribune calling out that state's bill (before it, too, sadly became law), which forbids media recording at food facilities but also includes additional provisions to silence would-be whistleblowers. One such provision is now also included in the Nebraska bill, penalizing workers who gain access to farm facilities by false pretenses or with the broadly defined "intent to disrupt the normal operations" -- clearly directed at individuals who utilize video to expose abuse. It would have a chilling effect on industry whistleblowers, even established long-term employees, who witness serious violations and wish to speak up. The bill also requires animal abuse reports to be filed within 12 hours, a provision similar to New Hampshire's proposed legislation requiring whistleblowers to report animal abuse and turn over videotapes and other documentation within 24 hours or face prosecution. Why are these provisions problematic? There are a few key reasons, but Big Ag doesn't choose to recognize them. A blog by the Animal Agriculture Alliance defending these "Farm Protection" bills (as the industry prefers to call them) suggests that if organizations (like the Humane Society of the United States, or HSUS, and Mercy for Animals) who have carried out undercover investigations "truly cared about animal welfare, then they wouldn't wait one second to report a valid issue to the proper authorities." These organizations, the commentator argues, would rather let their cameras roll for days or weeks, trading away law enforcement's ability to intervene early in cases of animal cruelty to create lengthy "propaganda" pieces. Preventing all of the above, mandatory reporting laws are simply wolves dressed in sheep's clothing. Let's break these reasons down. First, longer-form investigative pieces compel the public to place direct pressure on violators to take action to prevent animal abuse. Case in point: late USDA veterinarian Dean Wyatt consistently raised concerns of humane handling violations at two processing plants, but his complaints weren't treated seriously by the government until undercover footage taken by HSUS at the plants was released, sparking public outrage and vindicating him. By then, however, he had been transferred, demoted and stigmatized for doing his job. Wyatt's case is one of many showing the routine practice of whistleblower retaliation that makes documenting wrongdoing via video recordings essential. Second, documenting longer-form investigations provides law enforcement with a larger body of evidence to facilitate prosecution than a report of a single isolated incident. And law enforcement apparently needs all the help and encouragement it can get, as reports of animal cruelty rarely result in prosecution and conviction. According to a report issued by the Connecticut Office of Legislative Research, of the 1,369 animal cruelty cases brought in that state between 2004 and 2007, only 182 resulted in conviction. In most cases, the prosecutor decided not to prosecute. Lastly, and perhaps most important, mandatory reporting laws like those proposed in Nebraska and New Hampshire are intended to, and will in fact, make performing and documenting these valuable longer-form investigations impossible. That's because, absent meaningful whistleblower protections for the workers required to report violations, which these bills don't provide, mandatory reporting requirements will make it easy for the company to isolate those who speak up and retaliate against them. If workers are forced to come forward with such evidence in a matter of hours, it eliminates the possibility of them working with outside organizations to both shield their identity and publicize the wrongdoing correctly. Once an employer learns that one of its employees has reported a violation, whether through a public records request or a request for more information by the investigating agency, its knee-jerk reaction is often to immediately isolate or terminate the employee to prevent any further reports. Rarely is an employer's first response to help law enforcement and take steps to address the underlying misconduct, particularly where the misconduct is profitable. Thus in addition to placing an unfair burden on the worker that witnesses animal abuse, these laws will in fact make it more difficult to uncover and prosecute animal cruelty. To effectively protect the well being of the animals and the workers, such laws must at minimum include best-practice whistleblower protections. Without rights against retaliation when they disclose inhumane handling and other violations, would-be truth-tellers in the meat and poultry industry have no incentive to follow mandatory reporting laws. Requiring employees to report abuse right away is simply a way for the industry to weed out the "snitches" and prevent the acts of abuse, etc. from becoming public information. As Bruce Friedrich of Farm Sanctuary put it in the Huffington Post this week ... "New Laws, Same Effect." Ag Gag bills, in all their forms, strictly aim to suppress whistleblowers. Knowing this, FIC has been working to counter the industry's misleading arguments and reveal the importance of empowering honest insiders, not gagging them. Sarah Damian is New Media Associate for the Government Accountability Project, the nation's leading whistleblower protection and advocacy organization.